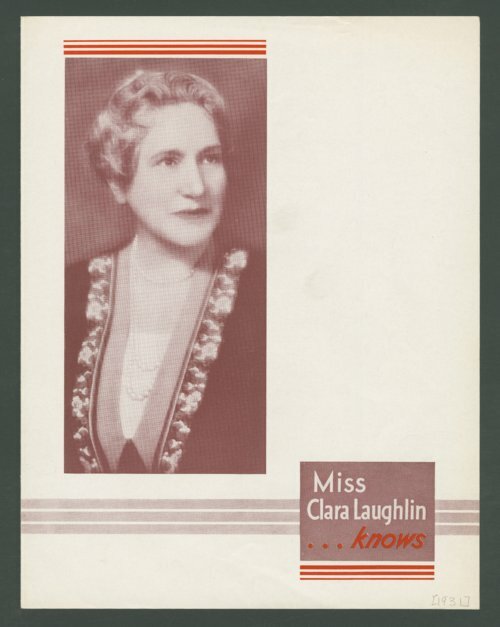 This brochure published by the Atchison, Topeka & Santa Fe Railway Company is promoting the experience and luxury of the Santa Fe System through the personal recommendation of Miss Clara E. Laughlin. Inside the brochure Miss Clara E. Laughlin, author of the famous "So You're Going" books, provides testimonials of her experience aboard the "Chief" and the attractions encountered during a Harvey motor tour. On the backside of the brochure a new booklet called "Hitting the High Spots" is being advertised.